We know better than anyone: it’s tough taking on a giant, age-old industry. Air travel needed a new approach. We endeavored to try one, and look at us now. So when we come across others doing the same in their own industries—be it tech, hospitality, real estate, or… beer, we’re always intrigued. We needn’t look any further than our own backyard of Venice, California. That’s where we met Brendan Sindell, the founder of House Brewing. 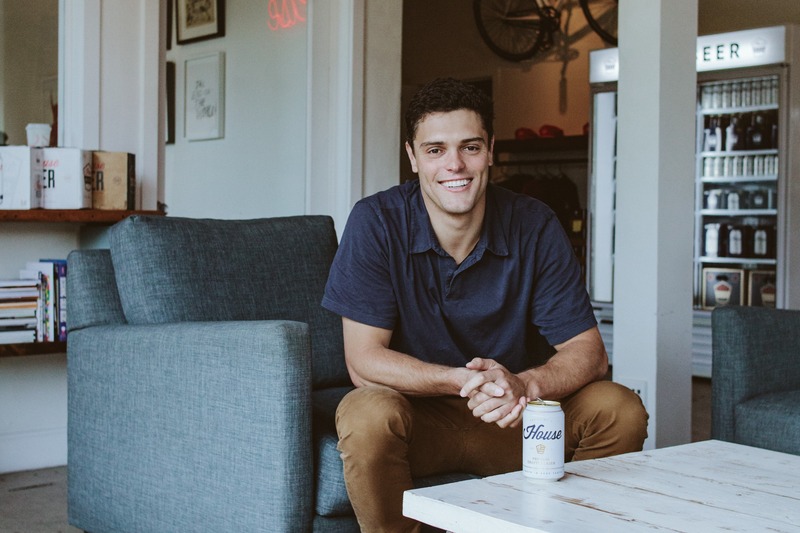 He’s taking the beer world by storm with his perfectly crisp lager made for the modern-day beer drinker. We love that about House. We also love their beer, which is why we serve it on all of our flights. Here, I sat down with Brendan to talk about what it’s like to be a small fish in a big pond, why he’s committed to making a great lager, and how it all began in the first place. Liam Fayed: You started House as a really small operation, right? 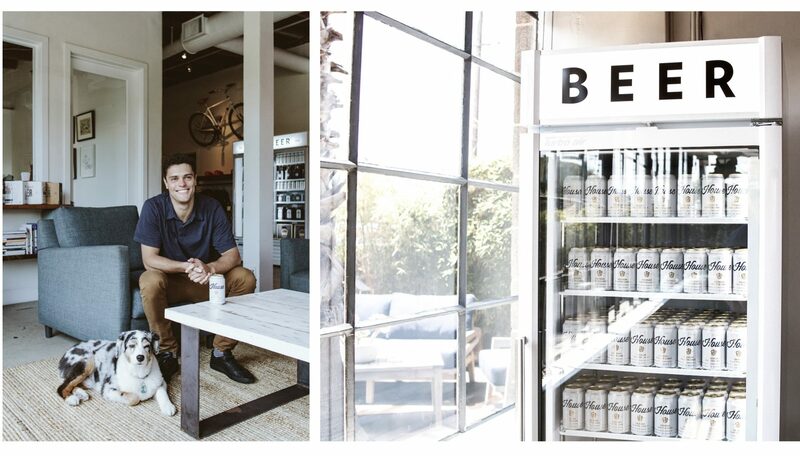 Brendan Sindell: Yeah, our first brew was in a garage in Los Angeles. After developing numerous recipes, we settled on a brew we really loved, and entered it into Maltose Falcons’ yearly home brew contest, the 2013 Mayfaire Homebrew Competition. We won for best American lager, so we knew immediately that we were onto something. For about 10 months, we were selling out of the back of a van and using my apartment as an office. Then we finally got our first distributor in West Los Angeles and have slowly and strategically added on new distribution partners in select cities that embody the House and Venice Beach lifestyle. 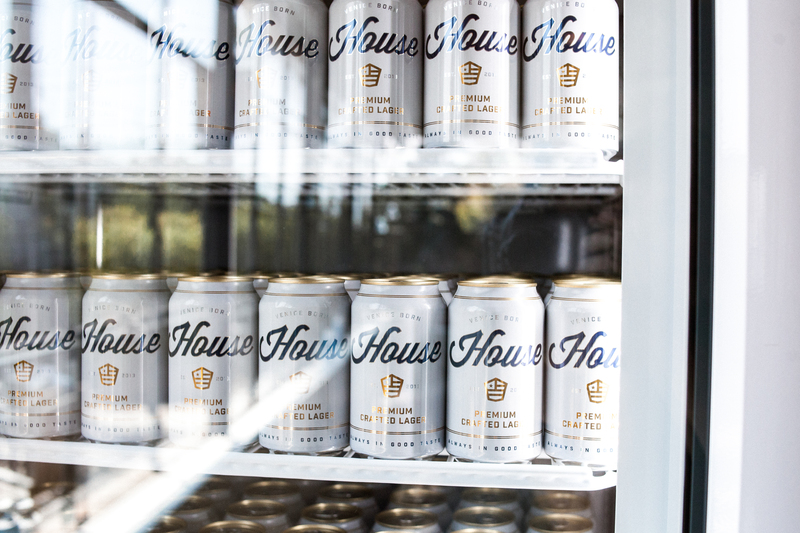 What inspired you to make House lager? After graduating college, I was drinking more mainstream domestic beers that have been around for decades. At the same time, there was a rise in the craft beer industry. Craft breweries make great beers with great flavor profiles, but they’re also very heavy and high in alcohol. Plus, the branding is super esoteric. I thought parts of that were amazing, but as a domestic beer drinker I found that there was nothing out there that takes the best of both worlds: a high-quality liquid that was also sessionable—meaning, you can have a few at a time without getting too full or drunk—and a cool, young brand to go with it. You wanted that happy-medium, which is exactly how we felt about flying commercial and private. It’s modern and speaks to a certain audience. Yeah, for sure. With beer, Bud, Miller, Coors—those are your dads’ and your grandfather’s beers. Today’s world is a lot different than the one they grew up in. The ideals we live for today are far different than the ones that built these big corporations. That’s a major part of House. We also really care about the taste and quality, which appeals to craft beer drinkers. We pride ourselves on never using preservatives or maltodextrin or syrups. We don’t use hop oil—it’s an all-grain beer, and we rely on the best hops and ingredients. We’re really hands-on with the brewing, tasting, and analyzing of the liquid. Our goal is to win medals in the most prestigious beer competitions. We’ve been medal contenders in the World Beer Cup and the Great American Beer Festival, and we won’t stop until we win. We’re very excited about that prospect, and take our beer very seriously. Another aspect that a lot of modern consumers consider these days is brand. Do you find that’s really important in the beer world? One hundred percent. 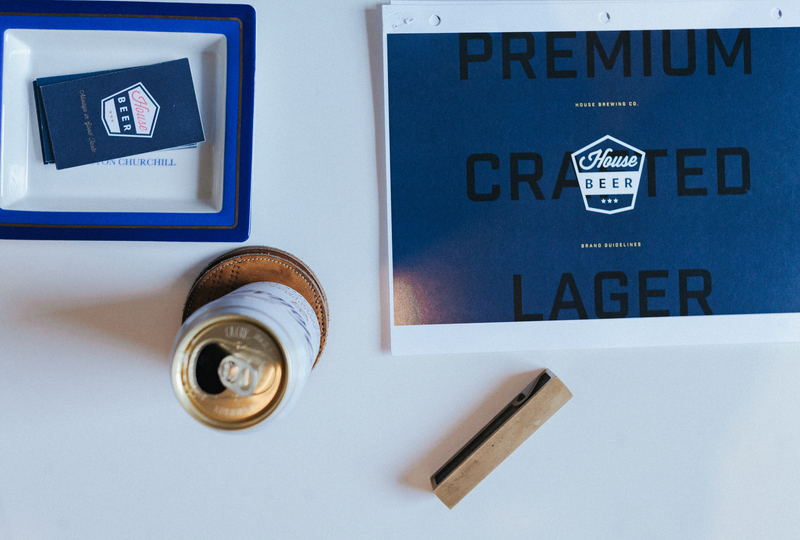 Branding is huge in the beer industry as a whole. You need a good brand. For me, everything in the market felt so busy and over-marketed. You walk down a beer aisle and you’re like, whoa, there are colors and characters on the beer boxes. I don’t even know what I’m looking at. It’s a sea of madness! Then on the other side of it is the whole “the mountains turn blue” or there’s this huge punch-top can or a bow-tie can; and you’re like this is just gimmicky. We wanted to create a look in a brand that was clean and had a modern but classic aesthetic. Something you felt good about having in your hand, and comfortable walking into someone’s house with. We wanted it to feel upscale and premium without being pretentious. That said, today there are now about 6,500 breweries in the United States alone. A lot of them are making great beer. So you can’t solely rely on brand. Equally as important is the beer, our liquid. I think that’s also part of the reason why we made such an obvious fit as brand partners. Yeah, Surf Air is a perfect partner for us, and we have a very similar ethos and consumers; so it’s been fun. I think that 1. we have the same consumers, but 2. you’re selling a premium product, an aspirational product, but it’s not in-your-face and pretentious. I think that’s an easy thing to be mistaken if you’re a private or charter airline; but the way you guys go about conducting your business is really unique. It’s aspirational but approachable, and that’s the same thing we’re doing. Exactly. Speaking of partnering, we’ve got some exciting events coming up with House this summer (soon to be announced). Anything else coming down the pipes for you guys? All our new packaging just launched and so I’m excited about that! I’m excited about summer. Summer is huge for beer, and it’s huge for lager, so really excited about that. I’m excited about our team. We’re growing. So all-in-all, lots of great things in the works.